Editor’s Note: For the majority of Florida, Hurricane Irma did not create the predicted catastrophic damage, for which we are grateful. However, it was a good reminder for community associations to check that they have prepared as fully as possible for this current hurricane season, which lasts until November 30th. When a hurricane roars through South Florida and your property’s roof is damaged, it puts your building’s structure and contents in jeopardy. A hurricane’s fierce winds, pounding rain, and flying debris can inflict serious harm on your roof, even if you’ve taken all the right precautions in advance. To minimize the physical and financial impact of any damage your roof may have sustained, you need to react quickly to prioritize needed repairs. Once the storm abates, it’s vital to check for leaks because water intrusions into the roof system and building structure need attention right away. Do a walk-through of the building, looking for evidence of leaks, like sagging tiles, stained ceilings or walls, or water puddles on the floors, and take photos of any damage you find. Then, have your maintenance personnel clean up the water to prevent slips and falls, and put out buckets or other containers to catch any further leakage. Don’t send your staff up onto the roof; avoid exposing them to safety hazards like a weakened roof deck, shorted-out equipment, or downed power lines. If you have any amount of water getting into the building via the roof, immediately get in touch with a reputable roofing contractor who can arrive quickly to do a damage assessment. They’ll take appropriate short-term measures to stop water intrusions in damaged areas they’ve identified, which might be a torn or billowing membrane, missing perimeter or base flashing, or punctures or holes in the roof field from wind-borne debris or toppled rooftop equipment. For more information on A-1 Property Services, call (305) 547-8355 or visit www.a1propertyservices.net. Did Hurricane Irma Damage Your Patio Furniture? Thankfully, our Florida residences were lucky enough to get through Irma with only minor damages. We pray for all those in Puerto Rico and the Caribbean. One important thing to consider post-Irma is whether your patio furniture is in good structural condition. If the answer to that question is yes and the furniture only suffered damage to the finish, slings, or strapping, then your property should consider restoration. If the finish is worn, chipped, or peeling, you should consider a powder coating restoration process instead of taking on the greater expense of furniture replacement. If the finish on the frames is still in great condition, then simply re-strapping or re-slinging is also an option. You can completely update the look of your furniture and save your property a lot of money at the same time! The restoration process involves completely stripping off the old, dull finish by sandblasting with aluminum oxide. The metal surface is then pretreated with a five-stage chemical pretreatment process. This properly prepares the patio furniture for the powder coating application. The powder is sprayed onto the metal surface of the furniture that is then baked in an industrial oven to cure the powder to a beautiful, long-lasting, final finish. Once the powder coating process is completed, the new straps or sling materials are installed along with any protective foot glides to protect flooring. For more information, call Absolute Patio Furniture Restoration at (954) 917-2715 or email tammy@absolutepowdercoat.com. Post-hurricane recommended procedures should include a structural component and mechanical equipment review by a licensed professional such as an architect/engineer to ensure there was no wind/water damage. This review will also be instrumental in pursuing possible insurance claims should there be evidence of any such damage. In addition, if the association is performing any exterior restoration work that involves rigging, an independent licensed professional should inspect all outriggers, hooks, and tiebacks prior to restarting the project. The professional should provide a document to your association stating that no adverse conditions exist and the scaffolding is ready for use. The cost associated with this should be borne by the contractor and is likely to be part of their contractual mandated hurricane procedures. For more information on AKAM On-Site Inc., call (954) 843-2526, email dweinstein@akam.com, or visit www.akam.com. Immediately before or after a natural disaster strikes, your first thoughts are most likely not about your banking relationship. A little bit of time spent thinking about how your association finances fit into your emergency plan can save your association time and money in the long run. Here are a few things to think about as you are reviewing your financial plan. Account Signers—Ensure the signers listed on your accounts are current, and determine who may be available directly after a disaster. The best pre-planning for your contingency fund can be left useless if the accounts don’t have the correct signers, or the signers aren’t available to withdraw necessary funds to pay deductibles or fund repairs. Insurance Planning—Be sure your board knows exactly what is and isn’t covered with your association insurance, and plan to pay deductibles or fund repairs that aren’t covered. The time to review this information is not when a major storm is on the horizon. If the association won’t have the coverage or funds to complete repairs, review possible financing solutions prior to needing them. Following the basic steps above will help you to successfully navigate unpredictable situations. Reviewing your contingency plans and knowing your options will help avoid costly mistakes and unpredictable results for your association and ultimately your owners. With the aftermath of Hurricane Irma leaving most of our communities in disarray, the pavement in your community is usually the last issue to be addressed. It’s not because we don’t want to, but because it’s usually covered in tree branches, leaves, and debris! What is left after the refuse trucks remove the debris are usually yellow, dead patches of grass where the debris was piled up and huge cracks and holes in the pavement that seemed to magically show up after everything settled down. Before you start correcting these post-hurricane issues, please make sure to have the repairs examined thoroughly prior to fixing the pavement. In my neighborhood, we had a huge oak tree that fell over and appeared to have caused no damage except for lifting the concrete curbing up. Upon closer inspection, it turned out that it cracked one of the main underground water lines and was spurting water everywhere; we just could not see it because the tree root mass covered it up. Once the tree was removed, one of our neighbors noticed the mud, and that led to the problem being discovered. Had the city just covered this up, a huge washout area would have been the end result. This washout area would likely have been diagnosed to be a sinkhole area rather than merely a leaky pipe. Take this time to ensure that not only everything on the surface is fine, but that your underground issues like irrigation, sewer, and drainage haven’t been affected as well. The extra care will save you thousands of dollars later on! Stay safe! Should Associations Include an “Insurance Deductible” Component in their Reserve Schedules? Living in Florida means that preparing for hurricanes is a way of life for us all. Community associations are no different, and the inevitable costs for dealing with insurance deductibles, emergency repairs, or other expenses related to storm events should be carefully considered by association representatives. In the wake of Hurricane Irma and with budget season upon us, I’d like to address a very common question in our industry: should associations include an “insurance deductible” component in their reserve schedules? In our opinion, the answer is no. Here’s why. In order to accurately budget for typical reserve projects such as roof replacements, painting, and pavement resurfacing, there must be a reasonably predictable life expectancy for these components. Being able to predict the timing of the expenses enables an association to determine the correct amount of annual funding required to meet the future needs. By contrast, hurricanes and other insurable losses are “surprise” events. No one can accurately predict when they’ll occur, how frequently, or how severe the damage will be. As a result, determining the amount to properly fund a reserve account for paying deductibles is pure guesswork, and may result in funds for other components being depleted to cover a shortfall when a hurricane strikes. Don’t get me wrong; we absolutely recommend having a plan in place for dealing with hurricane costs, but feel strongly that this should be done separately from normal reserve budgeting. A separate savings account, line of credit, or some combination of the two is a more appropriate way to plan. By Keith F. Backer, Esq. As South Florida endures another hurricane season, prudent boards of directors prepare how their association will function should a storm strike. Following a storm, unscrupulous people and vendors often try to take advantage of communities’ needs for immediate clean up. There are contractors who travel to condominiums and homeowners associations, asking management and directors to sign contracts on the spot to make repairs and perform clean-up services. Of course, rapid repairs and clean-up are important, and many vendors offer services at a fair price, but some proposed contracts may be onerous and may contain terms that are detrimental to the association. Some contractors may even be unlicensed and/or lack insurance. If you do not have the cell phone number of your lawyer, now is the time to ask for it. Those of us who were in South Florida during serious weather events of the past remember how difficult it was for many communities to get a quorum of their boards together when telephone and internet services were not working. Both the HOA Act (720.316) and the Condominium Act (718.1265) provide procedures for boards to be able to function under emergency conditions. Obtaining copies of these sections and becoming familiar with them before a storm strikes may make coping with the aftermath just a little less stressful. For more information on Backer Aboud Poliakoff & Foelster LLP, visit www.BAPFLAW.com or call (800) 251-3562. Before the memories fade from Irma and other hurricanes that threatened Florida recently, what can community associations learn from their recent experiences and do to be better prepared to implement those lessons for the next storms that are sure to impact Florida? The first lesson is that preparation goes a long way toward avoiding mistakes, and community associations can never be too prepared in the event of a hurricane. Boards who did not have emergency plans, nor reviewed insurance policies annually, nor documented the condition of the property regularly, did not have up-to-date contact information, or access to funds likely fared worse than those that did. Boards that went beyond these basic but essential preparations likely fared even better. The second lesson is that boards will need to operate and make decisions in tense and pressure-filled conditions after a hurricane but will remain subject to the same standards for operating and managing the community that apply to boards. The emergency powers provided by statute may be used, but boards otherwise need to remain level-headed, communicate with members, not be pressured into signing contracts, rely on the professionals previously retained and vetted, and operate as they otherwise would whenever possible. The third and final lesson in the event that the community association was impacted by Irma should be to review and use its actual experiences to prepare and improve the community for the remainder of the current hurricane season as well as future hurricane seasons. For more information on Becker & Poliakoff, visit www.bplegal.com. Your Post-Hurricane Pool Is a Mess—What Do You Do Now? So, your post-hurricane pool is a mess. What do you do now? Here are a couple of thoughts and suggestions. If the water rose in the equipment room, you have issues. Don’t rush your team into starting the pool back up for the sake of a few demanding residents as equipment that has been exposed to wet conditions may not be safe to handle. Contact a trusted advisor to have an expert evaluation. Just because affected equipment cranks back up, doesn’t mean it is back to normal. Many facilities have been disappointed a few months later when their heating or pumping system died. There is normally no warranty for something damaged in weather or flooding, so work carefully to find the best possible solution. Just like the water on the store shelves, many pool items are in short supply during a natural disaster. A pool is one of the main amenities, and organizations should keep an ample inventory of chemicals, parts, and accessories to handle just about any issue. Restoring your previous chlorine level after five days of power interruption does not mean that the pool is safe to use. After the 2004 hurricanes, some well-operated pools experienced high bacteria readings and chlorine demands over 100 PPM. Try a hybrid or hi-powered shock to restore the water to safe conditions. For more information on Commercial Energy Specialists (CES), call (800) 940-1557 or visit www.ceswaterquality.com. By Dania S. Fernandez, Esq. Now that Hurricane Irma has passed and recovery efforts have begun, many board members and other volunteers have faced a multitude of challenges. Many have decided to abandon their position, but most have been willing to fight the fight and get their community back in shape. This is a crucial time to mitigate damages. Boards of directors and all members of communities must keep their properties safe and in a habitable condition. Below are a few tips to keep in mind during the aftermath of Irma. Continue to exercise caution when signing contracts for emergency repairs. Notify your insurance agent promptly of any claim for property damage caused by the storm winds and rain. Damages from a storm may not be apparent until days or months after. The board has an obligation, via the insurance policy requirements to report in a timely manner. Have an expert inspect the windows, railing, and doors. Have they been racked or dislocated by the wind and pressure? Did the wind-driven rain cause gaskets to move and damage seals on the window system? A broken window or fallen railing is not the only sign of damage. An expert can determine its stability. Safety and mitigating damages are the key. Remove debris, tarp the leaking roof, and board up windows. Keep your community safe and away from further damage. Last but not least, hire the right professionals to represent your association. The insurance company is unlikely to identify all the damage caused by the storm. An attorney will guide you through your claim, review all legal documentation, and be prepared to take your case to court. For more information on Dania S. Fernandez & Association, call (305) 254-4492 or visit www.DaniaFernandez.com. If the roof in your community was affected by high winds from Irma and you didn’t have any leaks, you might think everything is okay. However, just because it’s not leaking does not mean it’s not damaged. High winds across the roof surface will cause uplift pressure which can literally lift the roof away from the substrate. When the wind subsides, it goes back down, but it is not attached. This can lead to damage from maintenance traffic, leaks over time, or complete failure during the next high wind event. So, it is very important to inspect the roof after a high wind event even if you did not have any leaks coming into the building. Many other things can cause damage that may not result in an immediate leak, such as displaced AC units or damaged metal flashings. It is extremely important to have the roof inspected by a qualified person as soon as possible after a high wind event. These items are not covered by warranty, but if your roof is under warranty, remember that the repairs must be done by a contractor certified by that manufacturer in order to not void the warranty. For more information on Ed Williams Registered Roof Consultant LLC, please call (772) 335-5832, email ewilliamsrrc@msn.com, or visit www.EdWilliams RegisteredRoofConsultant.com. Now that Hurricane Irma has passed and taken her toll on the Sun-shine State, one of the consequences of her having “visited” us is that structures impacted by the storm are invariably changed; sometimes in catastrophic ways, sometimes in significant ways, and sometimes in ways that are barely perceptible to the untrained eye. From our perspective—as a professional bat exclusion company—each of these types of impacts can bring its own challenges, in terms of allowing for the infestation of these animals into buildings that people use. In cases of catastrophic damage, the potential for the structure to be colonized by bats pales into insignificance and should be afforded a low priority; and in cases of significant damage (where the building is still serviceable/inhabitable), more attention should be focused on the potential for infestation. It is in the latter case, in which no obvious significant damage appears to have occurred, where we need to be most vigilant. In such a scenario, tiles may have shifted slightly; dormers may have opened-up somewhat; metal flashing can have been lifted away from the wall to some small degree; etc. When inspecting your property, bear this in mind: bats only need a small gap (often only ½-inch or so wide) in order to enter a structure. 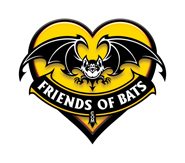 For further information on Friends of Bats, feel free to contact john@friendsofbats.com, call (888) 758-BATS (2287), or visit www.friendsofbats.com. Throughout the summer months and especially during hurricane season, it is important to know that areas in South Florida may experience isolated or widespread power outages. Although your access control system is equipped with batteries for use in the event of a power loss, it does not have enough capacity to sustain your system for a significant amount of time. If you are without emergency backup power and your doors are equipped with magnetic locks, keep in mind that the backup batteries in your system will eventually fail. This will cause the locks to de-energize, and the doors will unlock as a result. If your exterior doors are equipped with magnetic locks, we recommend you secure them with a key or chain them shut until power is restored. In recent weeks, mother nature certainly proved its powers as Hurricane Irma ravaged much of Florida. One of the major problems during this monster storm was flooding, resulting from heavy rains and storm surges. While flooding can’t be completely avoided, there are steps condominium and homeowners associations can take to minimize the damages. Associations must consistently monitor shorelines for signs of erosion that can include unstable land and water encroachment during heavy rains. The rain will cause the water levels to fluctuate during this time and often increase the chances of shoreline erosion. Unstable land results in hazardous conditions for landscapers and lakefront residents. Eroding shorelines leave draining pipes, sprinkler systems, and underground lines exposed and subject to costly deterioration. In addition, homes are frequently flooded by encroaching water. Dredgesox and Shoresox Erosion Control Systems™ are proven solutions addressing the problem of eroding shorelines. These innovative products increase shoreline stability naturally by planting and/or sodding directly through mesh armoring, establishing newly rooted vegetation or “living shorelines.” SOX Erosion Solutions halt erosion, reclaim land, and eliminate dangerous conditions along shorelines. Many HOAs and communities are turning to these “living shorelines” as opposed to cement walls, rip-rap, or other temporary strategies. For more information on Lake and Wetland Management/SOX Erosion Solutions, visit www.SOXerosion.com or www.lakeandwetland.com. Can We Use Reserves for Clean-up or Storm-related Repairs? Most communities have reserves for roof replacements, but not many have them for repairs. It may not be advisable to use roof (or your pooled reserves that contain roofing) on the storm repairs since those funds are actually for replacement. For more information on Reserve Advisors, call (800) 980-9881 or email Matt@reserveadvisors.com. Do You Have a Warranty on Your Roof? The roofing manufacturer warranty—This warranty covers issues with the actual roof product, is rarely used, and only covers the cost of material. It does not usually cover the cost of labor, removal, and replacement of the existing roof. The roofing company workmanship warranty—This warranty is most likely the one that comes into play if you have problems with your roof in the first ten years. In the event of an issue, the customer is covered by, and has not voided, either the manufacturer or the workmanship warranties. Roof cleaning warranty—This warranty guarantees that the roof will stay clean for a specified period of time and should specifically state what the recourse and costs are to the customer in the event that the roof does not stay clean. Beware of terms like “lifetime warranty” and “5-year limited warranty” as these do not provide the customer with any real guarantees. For more information on Roof-A-Cide, call (800) 806-6727 ext. 7, visit www.roof-a-cide.com, or for the full article, visit www.linkedin.com/pulse/20140714103432-84962363-roof-warranties-important-things-you-might-not-know. Hurricane Irma caused widespread property damage and power outages across Florida. As the state’s HOAs and condominium associations complete their recovery efforts after the storm and contend with any insurance claims that they may have filed, they should also recognize that in many cases their deadlines will soon be approaching for their Notice(s) of Annual Meeting and Election to their unit owners. For some associations, the loss of power and issues related to vendors, such as printers that may have become temporarily incapacitated after the storm, will affect the timely distribution of their meeting and election notices in accordance with statutory requirements. This can become particularly troublesome for associations with governing documents that create a narrow timeframe or a specific day during which their meeting and election must take place. For such associations, it may become necessary to reschedule their meeting and election for a date after the deadline noted in their governing documents in order to comply with the statutory notice protocols. These associations should turn to qualified legal counsel to develop a plan for rescheduling their annual meeting and election to ensure that they remain in compliance with Florida Law. For more information on Siegfried, Rivera, Hyman, Lerner, De La Torre, Mars & Sobel P.A., visit www.srhl-law.com, www.FloridaHOALawyerBlog.com, or call (305) 442-3334. There is very little that a building can do to prepare their trash chute system for a storm. The most vulnerable part of the chute is the vent cap on the roof, which is elevated 4-6” by code requirement to allow for ventilation. The vent caps get ripped off even in tropical storm conditions, sometimes blowing off to sea and sometimes blowing down into the car park. In the best-case scenario, you lose just the cap itself, but it can also rip out the straight section of chute and even the flashing around it. On your post-storm walk through, this should be an item to check; repairs can be made by your chute company, in conjunction with your roofer if necessary. Properties on the ocean with exposed trash chute doors will have a buildup of salt water spray on the doors. This should be cleaned off immediately with hot water and detergent, followed by stainless steel cleaner, to avoid pitting and rusting. Again, this can be done by your trash chute contractor. For more information on Southern Chute, please visit www.southernchute.com. Over the past two weeks, Florida residents have prepared for one of the largest hurricanes to reach Florida’s coasts. In the aftermath, many homes and businesses were without power for days, and damage to buildings and properties was sustained. The storm is over, but what is the next step in moving forward through recovery with no unexpected plumbing emergencies? After a hurricane, it is not uncommon for many buildings to experience slow drainage. This is often due to sand infiltration in the pipe system, which causes the drain lines to fill up. Sand can often find its way into a drain line through a damaged cleanout or a pre-existing failure point in the system, which allow excessive rain and sand to begin to fill the line. Effectively cleaning and clearing drain lines is the key to solving this slow drainage problem. Unlike cabling or snaking by jetting, which uses water, the sand can be safely removed and will not cause any damage to the pipe system. Hurricane-force winds can range from 74 mph to 156 mph, which can cause severe damage to not only roofs but also sanitary roof drain stacks. Roof drains play a critical role in the overall function of your building’s entire sanitary system and if damaged could cause a snowball effect of plumbing emergencies. Luckily, sanitary CCTV sewer inspections can identify any damage that occurred in the system and also provide information on what the best pipe solution is based on the problem. Whether your building or property’s pipe system is experiencing slow drainage or sustained severe roof damage that has affected your sanitary roof drain stacks—through pipeline inspections and cleaning, these problems can be easily solved. For more information on Specialized Pipe Technologies (SPT), call (855) 979-8291 or visit sptpipe.com/solve-your-pipe-problems. After 25 years in the industry, we’ve learned that building a strong working relationship with key vendors is tantamount to having a smooth post-storm plan. A list of reliable vendors can be an association’s most valuable asset. The great relationships that a management company maintains with its vendors year-round benefits the associations in times of need: because of their history of working with a particular management firm, these vendors are willing to help as quickly as possible after a natural disaster like Hurricane Irma. One example is that after severe damage, one of the often forgotten but most valuable vendors to contact is a trusted public adjuster. It is wise to use a public adjuster, who is licensed by the state and registered with the DBPR, to work in the best interests of an association to get them the maximum due from an insurance claim. As a management company, the ultimate goal is to prove to clients time and time again that they can depend on our firm to connect them with vendors who will fight on their behalf. That goal is especially evident after a disaster. For more information on The Melrose Management Partnership, call (800) 647-0055 or visit www.melrosemanagement.com. Post-Hurricane Recovery—What Should You do in the First Days? Contact a professional engineer to conduct a structural integrity assessment to ensure the building is safe to occupy. Once the structural integrity has been established by a licensed and qualified structural engineer, the next level of assessment (water intrusion) must be addressed. Water intrusion comes in many different forms and can pose different problems. For example, storm surge can bring contaminated water that will cause damage to most surfaces and materials that it encounters such as “soft goods” which include gypsum wall board, wood trim, carpeting, wood framing, and other similar surfaces. Damaged materials must be decontaminated or removed. Wind-driven rain poses a different kind of problem. In cases where the wind-driven rain has penetrated through stucco or other finishes, it can seep into the back side of wallboard finishes and can cause mold or other organic growth quickly. A moisture meter can be used to test for elevated conditions. If conditions are found unfavorable, removal of part or all the suspect wall board may be required. Ask a qualified engineer to inspect, evaluate, and provide the best post-hurricane recovery solutions for your structure to ensure safety and resiliency. How an association reacts to damage that a hurricane causes can be just as important as planning for the hurricane to arrive. 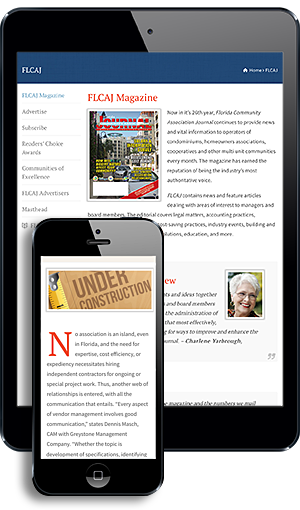 Both the Florida Condominium Act and Chapter 720 of the Florida Statutes governing homeowners associations provide condominium and homeowners associations with emergency powers during the time reasonably necessary to protect the health, safety, and welfare of the association and the unit/parcel owners. Triggered by a state of emergency declared by the governor, these emergency powers make it easier for an association to react to damage that a hurricane causes. They include allowing the board of directors to conduct meetings in any practicable manner with notice given by any means the board deems reasonable under the circumstances. They also permit the board to take steps that it believes are reasonably necessary to mitigate further damage and to make emergency repairs. A list of all of the emergency powers that are given to condominium and homeowners associations can be found in Florida Statutes. Regardless of the actions that the board of directors takes, associations should do whatever it can to maintain communications with owners after the storm is over. Receiving updates regarding repairs and clean-up actions will reassure the owners that recovery efforts are underway. Whether the communication is by email blasts or by handing out flyers to owners who are without power, it is very important that the association let the owners know what the association will be doing and what the association expects the owners to do on their own. For more information, please contact the author Matthew Zifrony, Esq. at mzz@trippscott.com.